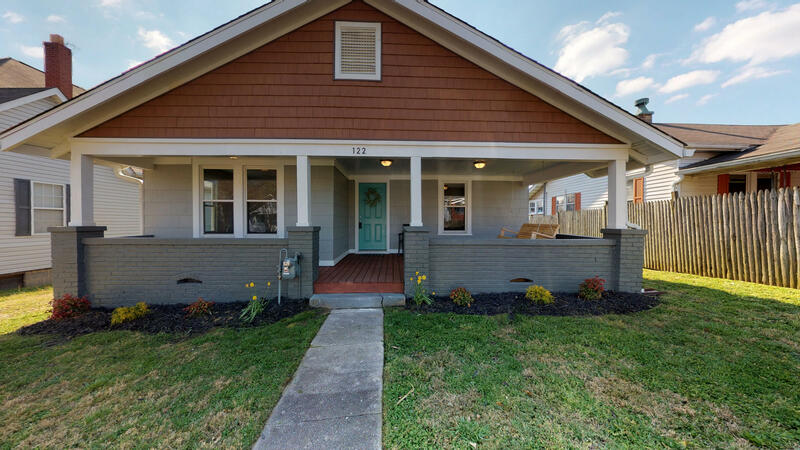 Totally *REMODELED* 3 Bedroom 2 Bathroom bungalow in the heart of Happy Holler! New roof, gutters, kitchen, bathrooms, flooring, lighting, insulation, doors, electrical updates, newer windows, and more! The large front porch is a perfect place for family and friends to gather and relax. Fenced backyard with new privacy fence. Subway tile in the bathrooms, gorgeous kitchen with shaker style cabinets, open shelving and stainless steel appliances! Cute built-in's down the hallway, arched doorway, 10 foot ceilings in LR, and a large laundry room/mudroom/pantry off the kitchen. Large detached workshop/garage. *This house will go quick! * Call today to schedule a showing! Checkout the VIRTUAL TOUR!